Craft Goodies: OMTWI Week 3 Project...Standing Floor Mirror! 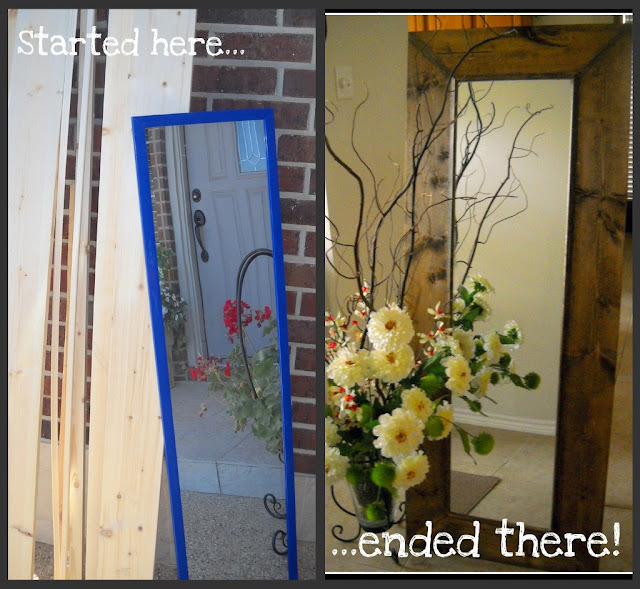 OMTWI Week 3 Project...Standing Floor Mirror! I seriously LOVE mirrors, and even more, the beautiful standing floor mirrors!!! Can't say however, that I can afford one. The one I drool over from Pottery Barn is over $600. Some 1x6 boards from a pile in the garage, a few strips of trim molding, hinges meant for another long-forgotten project, 1x2's and a sad little on-the-door mirror purchased on clearance last fall. I (cautiously) popped off the blue trim from the mirror, cut down the wood, sanded, puttied, re-sanded, stained, and assembled. And in the end came out with a piece I'm absolutely tickled pink over! Thanks for another fun week and for helping to lighten my to-do load!" I wish you knew how helpful this post is. 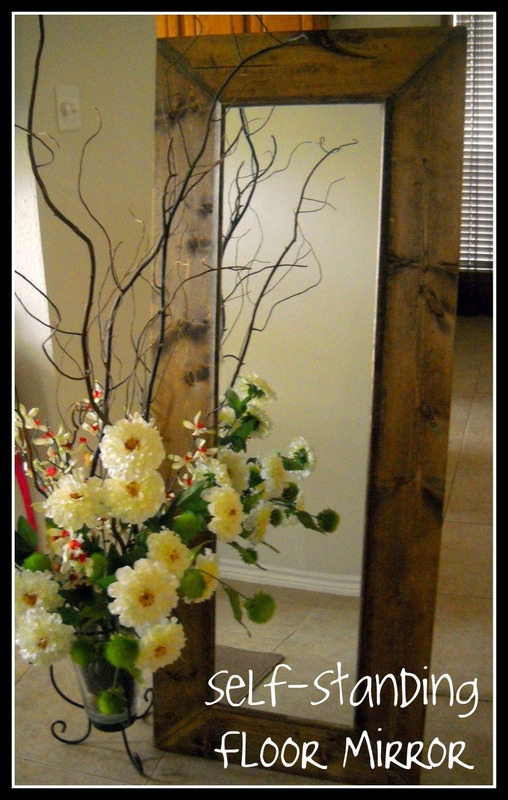 My hubby and I have been trying to figure out what to do with a left over mirror from the previous owner. This just went to the top of his honey do list. Thanks for linking up! I love this idea....i love big mirrors. By looking at the pictures, I could figure most the steps out. Are the 1 by 2's hinged at the top hold on the mirror? that part confused me...thanks. Ali you are brilliant! Yes, they are. I ran 3 small sections of 1x2's across the back to help brace the mirror. Then made a little "ladder" from 1x2's and attached it to the center support with hinges. I plan on attaching a small chain from the mirror to the stand, just to be sure it doesn't open to far-but I didn't have one on hand and buying one, well that would have been cheating! Good luck with your project, I LOVE mine! Ok, so your woodworking skills are out of control! I love it! I wished we lived closer so I could pay you to hold a class!! Impressive! Thanks again for linking up. This project is one of Anita's Faves for this week's party. Come by and check it out. WAY COOL!!! What a brilliant idea... I want to make one! Visiting from Someday Crafts. This is AMAZING!!! Will you please do a detailed tutorial? Pretty please? This is fantastic! How clever and persevering you are! No way! This is amazing! I do hope you provide a detailed tutorial. You were featured over at Today's Top 20 -- Hooray! Is there a tutorial coming soon? I want to make this! 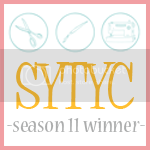 APRIL Word...of the Month Kits are Here!!! Sweater Easter Basket...by Stuff by Ash! Wood You Like to Craft? Craft Goodies style! Wood You Like to Craft? Kick-off!!! Cafe Rio Knock off Recipes...Monday Munchies!